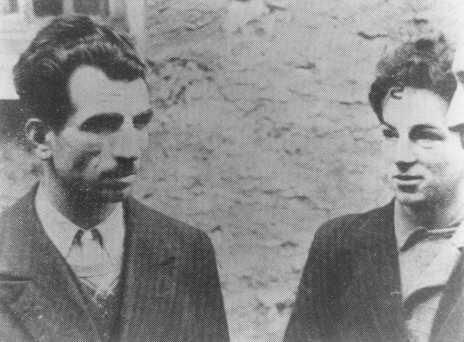 Two French partisans, Missak Manouchian (left) and Wolf Wajsbrot (right), who belonged to the French armed resistance group Francs-Tireurs et Partisans. They were executed by firing squad on February 21, 1944. Paris, France, February, 1944.